Every season is painting season. 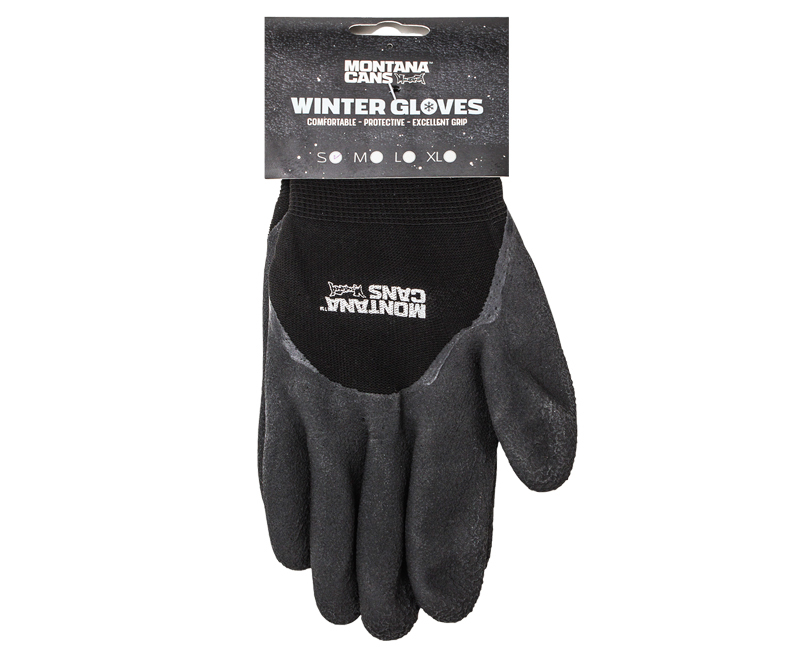 And with the new Montana Winter Gloves now your hands will agree with you. 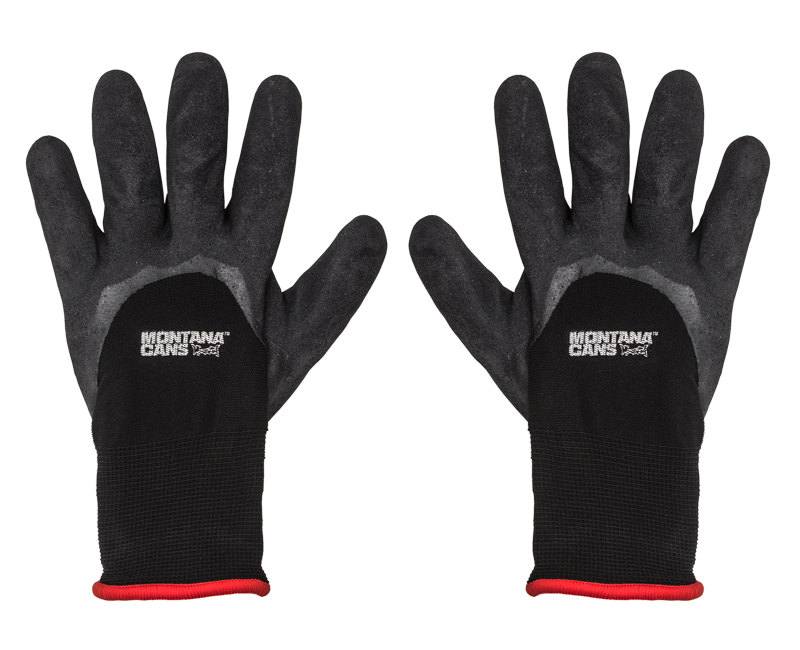 Made of 2.4mm woven nylon and filled with a 3,6mm soft brush acrylic inner lining, the gloves not only offer warmth, but also flexibility while working. The final outer lining is coated with latex that protects against unwanted substance contact. This combination of materials is both breathable and elastic to enable your hands freedom to move with perfect grip due to the serrated finger tips while staying warm between temperatures as low as -5 to 8 degrees celsius. 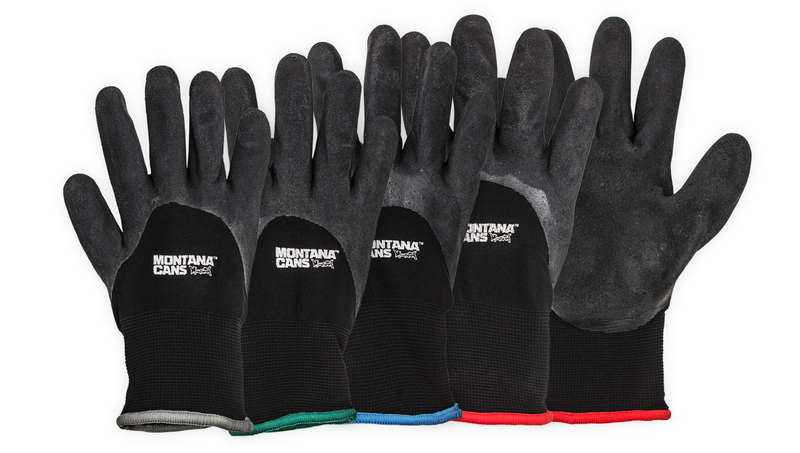 The Montana Winter Gloves are available in sizes S-XL and can be easily differentiated by the double stitched colored cuff lining in Grey-Small, Green- Medium, Blue- Large and Red-XL. 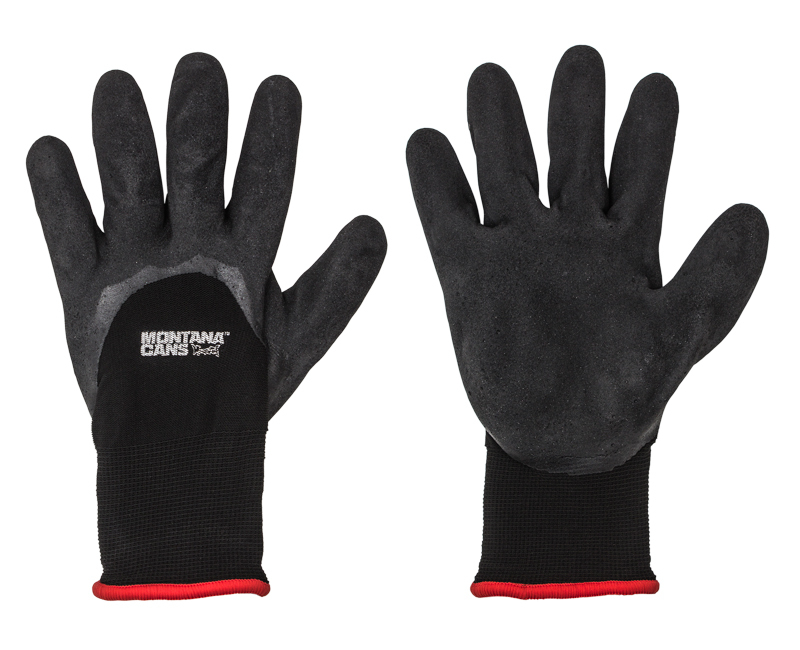 Available in single pairs, the gloves are ideal for protection during the handling of paint and lacquer. To achieve and maintain optimal hand warmth, it is recommended that your hands be warm before putting the gloves on.